You just launched a new website and everything seems great! However, no one is visiting and it's starting to feel like a negative investment. What could be the cause, you wonder? These days, not having a website for your business is lost business. But is it really that simple? One of the most common misconceptions that website owners have is that once their website is up and running, traffic will come in like moths to a flame and revenue will start flowing. This is simply not the case! A new website on the internet is like a new kid in school. No one trusts him yet. It will take him time to build trust, get friends and eventually blend in. However, if you think it's been too long since you launched and you're still not getting any traffic, then you may want to start looking into it. There are many factors that can affect how, or even if, you receive website traffic. These issues can occur throughout the website's life cycle-- from before it was built to after it's been launched. What's the Problem With My Website? If you want to identify the cause(s) of your web traffic problem, you'll need to take a look at your website from a potential visitor's point of view. The first thing you should check is: can your website even be reached from a search results page? Since over 90% of online activities begin with a search, you'll probably want to make sure your website appears on search engine giants. For that, there's no place better to start learning how than from the king of search engines itself, Google. 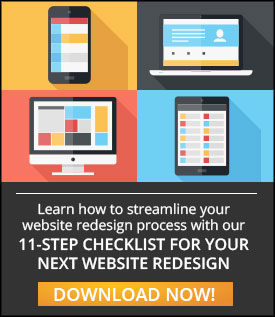 >>Learn how to streamline your website redesign with our 11-step checklist today! Click below! An alternative way is searching for your website on Google yourself. Head to the search page and type in your website. It should appear on the first few pages, if you're lucky. Is your content actually good? Go through your content and try to give an unbiased opinion of whether it's actually good. If you're selling products, for example, ask yourself if you or someone you know would buy them. If you're writing articles, ask yourself whether readers would actually find them helpful. Are you distracting customers from your content? When someone clicks on a link to your website, that means they've already committed to checking your content out. The last thing you want to do is to pull them away from the content that they want just to show them an ad or some other irrelevant piece of content. This breaks the flow of the experience and will make them more likely to bounce. While these interstitial ads have been proven to work, Google has recently announced that your site may get penalized if it relies too heavily on them. 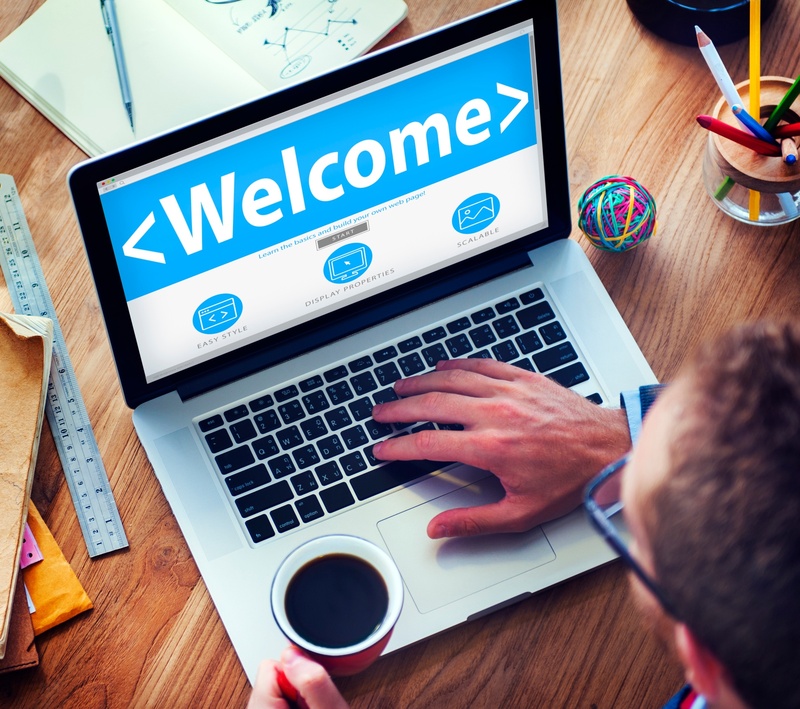 Is your interface user-friendly? Nowadays, most people who use the internet have already been using the internet way before your website went live. This means they've experienced a lot of what the world wide web has to offer. They will have developed their own set of standards for what to expect when visiting a website, along with standards set by search engines and web authorities like W3.org. If your site isn't up to snuff on these latest standards in user experience, both people and search engines could forget about you. Is your site fast? Your website is beautiful and has tons of features, which is great! But it's all for nothing if the overall speed of your website has been impacted as a result. Nothing drives potential customers away more than a painfully slow website! Is your website mobile friendly? If you didn't get the memo that mobile is dominating the internet world, your site will definitely be left out. Just cramming your site elements into a mobile screen isn't enough. Your website must be optimized for mobile. Did you do your SEO? All of the above points actually contribute to SEO, but there's a whole lot more. These days, all websites worth their salt have had some level of SEO done. Make sure your site is search engine optimized too! Once you're absolutely sure that your website is ready for the whole world to see (again), make sure to actually talk about it! This is where your marketing strategy comes into play. Build your backlinks, share your articles and website on social media and engage in conversation with your audience. It may take some time at first, but once the conversations get going, you'll be getting traffic in no time! Learn how to streamline your website redesign with our 11-step checklist today! Click below!